The city of Brandon is located just east of Tampa, on the west coast of Florida. Notable for its exciting outdoor Dinosaur Museum and the Seminole Hard Rock Casino, Brandon also offers a short trip to some of the prettiest beaches on the entire west coast. Brandon’s population is served by a great selection of holistic dental offices that provide cosmetic and restorative care to its 100,000 residents. This Florida city is great place to be when you encounter a dental problem, especially while you are on vacation. The Emergencydentistsusa.com website makes it simple to find a great Brandon holistic dentist without the hassle of searching the city. Just log onto our comprehensive website and scroll through our Brandon holistic dentists. Click on the dentist with services that suit your needs and find all of the information that you require to set up that first appointment. The Emergencydentistsusa.com website provides users with dental office hours, services, insurance accepted, and driving directions in a convenient format. When you need a little more help picking out the right Brandon holistic dentist, just call our 24-hour dentist finder hotline. Speak to a caring agent who is standing by to help you choose a dentist, set up that first appointment, and to offer driving directions if necessary. This service is always toll-free. Remember to arrive at least 15 minutes early to your first dental appointment. Bring your dental insurance card with you to your visit, and do not forget your photo ID. The city of Brandon is just close enough to the west coast of Florida to make heading to the beach a lot of fun. Brandon also offers a variety of holistic dentists who are standing by in case of a dental emergency. Just scroll down to see our top three Brandon dentists below. Description: Creating your most brilliant smile is definitely on the agenda when you visit Dr. Saylor’s dental clinic in Brandon. This full-service dental office specializes in cosmetic dentistry, making your smile the most important subject. Dr. Saylor offers pain free and sedation dentistry with an emphasis on whole body health. Description: Dentists who care about your health are always available at Dr. Bauer’s office. Creating your most beautiful smile means that cosmetic and restorative dentistry are both practiced at this dental clinic. A caring staff and pain-free dental options are available to provide you with an anxiety-free dental experience. Description: Creating stunning smiles through general, cosmetic, and restorative dentistry, Walker Raynal Dental is a top choice in the Brandon area for anyone with a dental issue. Treating issues like TMJ and missing teeth are all in a day’s work for this two-dentist team. A caring staff and a variety of technologies make this dental clinic a great place for families. Selecting a holistic dentist in Brandon does not mean that you have to change everything when it comes to your dental care. Most people who choose a holistic dentist are simply interested in promoting whole body health, rather than focusing on just their teeth. A holistic dentist performs many of the same procedures as a standard general dentist. He or she often chooses biocompatible materials in order to restore balance to the body and negate any harm that might come from other types of chemicals or materials. Many holistic dental offices also strive to make less of an impact on the environment by improving their office practices as well. 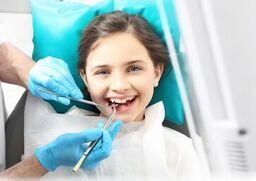 Any time you select a new dentist in Brandon, it is important to ensure that he or she is properly licensed to perform dental services in the state of Florida. The Florida Dental Association’s website makes this task a breeze. Just log onto the website and enter your dentist’s name in the search box. Click “enter” to view current licensing and credentials. You can also view this information by visiting your new dentist’s office prior to your first appointment. Speak with the receptionist to ask any questions that you might have, and to view current licensing documents.